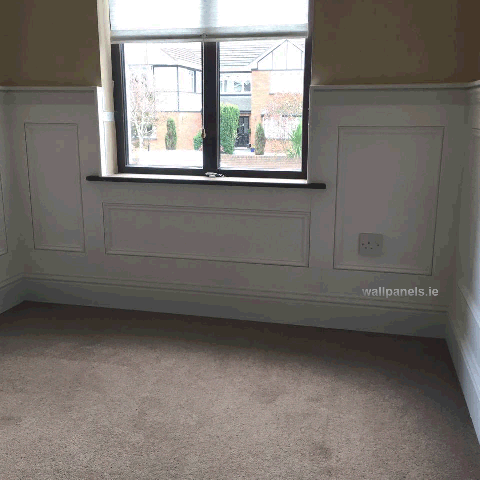 Our Classic style wainscoting/wall panelling and matching radiator cover fitted in Malahide Dublin. 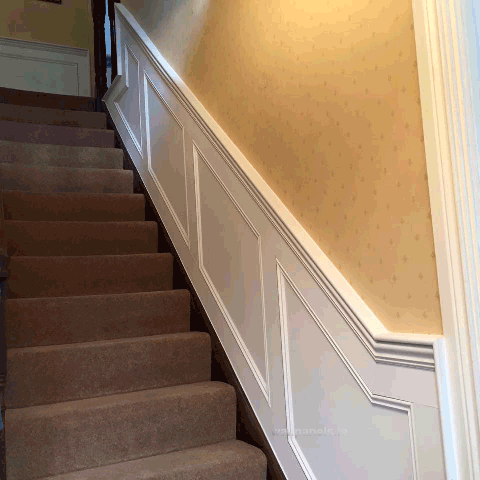 Primed white and ready for a top coat. 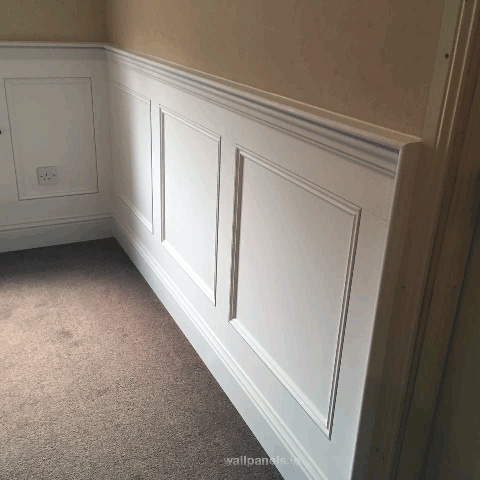 We fitted it a small bit higher than normal to cover the mark left from an old dado rail.